If you have a Drupal website and are considering opening an e-Commerce store, you’ll be pleased to know that modules are available to help you create the ideal website for selling products. In this post, we’ll look at 10 e-Commerce modules that cover everything from the building the actual store to creating customer wish lists. The Drupal Commerce module is a key part of anyone’s e-Commerce arsenal as it enables you to turn your website into a fully-fledged store. 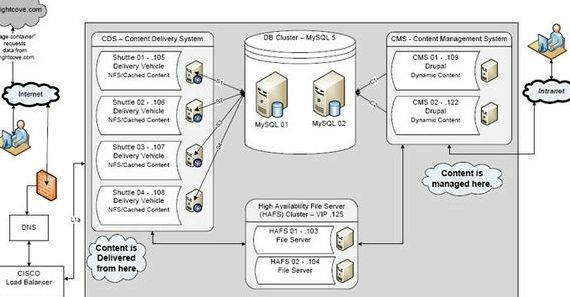 It is a lightweight but powerful application that lets you create fast loading, high-performance shops of all sizes. The module has some great features too. It enables you to create product types with custom attributes, have dynamic product displays, manage your orders and have a range of different payment gateways. It even handles tax calculations, VAT and discounted pricing. 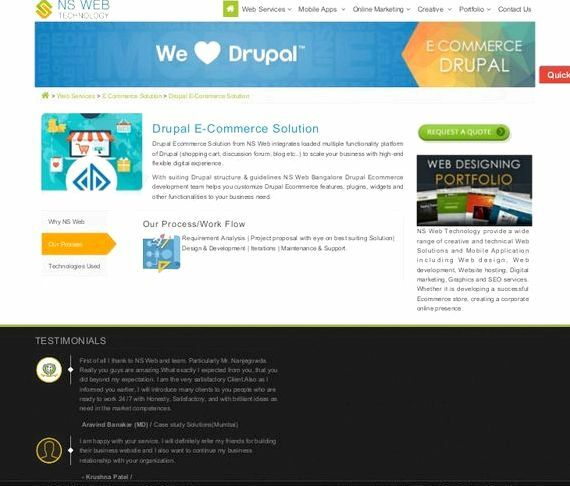 Drupal Commerce offers a way to build and manage your online store, simplifying the entire selling process. If you use Drupal Commerce and are intending to sell multiple types of customisable products or a mix of customisable and non-customisable products, then you will need to create multiple line item types to handle the range of field configurations. To achieve this, you will need the Customisable Products module. Like Drupal Commerce, Ubercart is another highly popular e-Commerce application for the Drupal platform, providing users with everything they need to begin selling products from their store. It’s simple to use, so web developers of all abilities can use it to create great websites. It’s also very versatile, enabling you to sell physical goods, digital downloads and even subscription-based billing services. Ubercart has a range of useful features, including the ability to create configurable product catalogues, have multiple product images and track stock levels. It has a single page checkout, integrated payment system, offers multiple payment gateways and even provides shipping quotes, fulfilment management and sales, product and customer reports. The Ubercart Wish List module is a great little extension for those who run an Ubercart based store. As you would expect from a wish list add-on, it enables your customers to create and manage a list of desired products for future purchase. The other added benefit is that other customers can search for a particular wish list and buy products from the list for the wish list creator – this is perfect for your users who want to let friends and family know about any birthday or wedding gifts they would like buying. The module works alongside the shopping cart, displaying ‘Add to wish list’ beside the ‘Add to cart’ button on your product pages. If you want to open a store without having any stock, then creating an affiliate website is the ideal solution. You can do this through Amazon. By joining Amazon Associates you can earn commission on every Amazon product you sell through your site. Normally, affiliates make money through banners or text links, but with the Drupal Amazon Store module, you can create an online shop full of Amazon products – complete with images, prices and product descriptions. The checkout process and shipping is all done by Amazon. Upselling is a much-loved selling technique used by many online retailers. It is usually used during checkout to tempt buyers into further purchases by offering desirable goods at a ‘now or never’ low price. It can also be used elsewhere on your site – think of Amazon’s ‘Frequently Bought Together’ offers. If you want to apply this selling technique on your Ubercart based site, then the UC Upsell module is the tool you’ll need to put it in place. The module enables you to bundle multiple associated products together and display them as a themeable block on the cart page and other product pages. One of the biggest advantages of selling online is that you have the potential to trade internationally. Of course, to be able to do this, it helps if you can let your customers know the price of your products in their own currency. This is where the Currency Module comes in very handy. It provides your store with currency conversion features as well as currency information and associated metadata, allowing you to display the price in the desired currency. Commerce Invoices is a useful little module that generates invoices and lets your clients settle the bill on your site. It’s ideal for freelancers and service companies that sell their services through their website but who don’t have or need an actual online store. Customers are able to use any payment method supported by Drupal Commerce including credit cards and PayPal. The Adsense module is a great way for e-Commerce and other sites to generate additional revenue through displaying adverts from Google on their website. Every time a customer clicks on an advert, you’ll earn a commission. The module provides easy-to-use ad blocks for displaying on your site and it lets you disable the ads for certain roles. If you want to run Adsense ads on your Drupal website, you will need to sign up with Google Adsense first. If you want your e-Commerce store to be found online, it’s essential that you have your SEO in place. One way to achieve this is through the Drupal SEO Checklist. This module applies best SEO practices to your website to check your optimisation and provide you with a list of tasks that should be completed to help you rank better. The module is regularly updated to address the latest search engine algorithm changes so that your current SEO is always fit for purpose. It also helps you keep track of work already carried out so that you can stay on top of your progress. Drupal users have a lot of options available when it comes to creating professional standard, user-friendly e-Commerce websites. From reading this article, you should now have a wider understanding of the range of modules available to help you build the store you need to run a successful e-Commerce shop. At Web Hosting UK, we provide a wide range of Drupal hosting packages including shared, SSD VPS and cloud services. We offer free migration, 1 click install, Drupal optimised servers and 24/7 technical support. For more information, call one of our friendly technical advisors on 0800 862 0890 or visit our Drupal Hosting page .